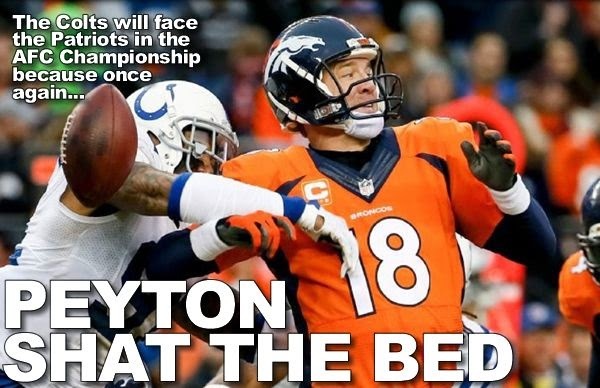 So, for the ninth time in his career, Peyton Manning has gone one-and-done in the playoffs. NINTH. Going forward, anyone who says Peyton Manning is "one of the greatest quarterbacks in NFL history" needs to be slapped in the face. Anyway, on to the Colts.